Jessica Leeder is The Globe and Mail’s Atlantic Bureau chief. This was the doctor’s receptionist over the phone from Dartmouth, N.S., with a voice so thick with gravel, I imagined her with a lit cigarette in hand as she attempted to take the bull by the horns. At a little more than five weeks pregnant and unintentionally so, I was the bull. I had become an angry, desperate animal in my quest to figure out how anyone goes about getting an early stage abortion – discreetly, while juggling the demands of a family and a full-time job – in my adopted province of Nova Scotia. Technically, it is the best time in history to try to get an abortion if you live here. And yet, if you are less than eight weeks pregnant – in other words, the optimal time, when having an abortion is medically low risk, physical recovery time is minimal and you are eligible to take the abortion pill, a non-invasive method used up to nine weeks of pregnancy – getting an abortion in Nova Scotia is still basically impossible. I did not know this when I set out. Although I had never had one, the simple fact of abortion’s availability has always lingered in the far reaches of my mind in the way an old housecoat might hang in the back of a closet, there just in case you happen to one day need it. 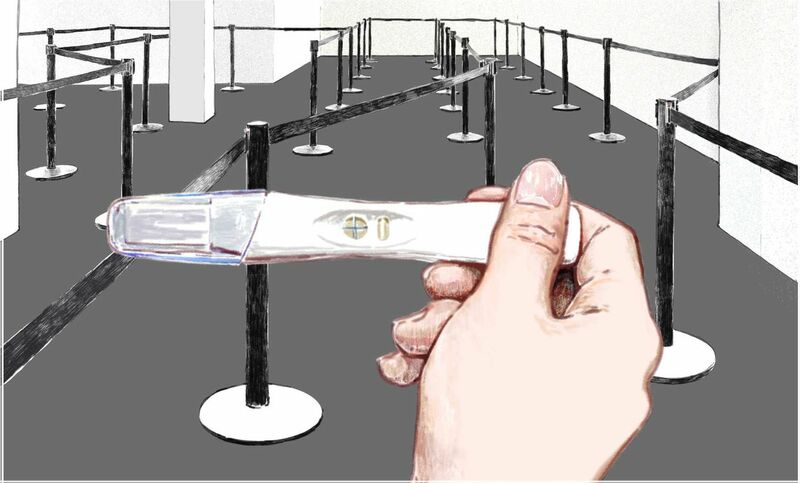 I assumed that, while a woman might have to travel a few hours or finagle some time off to get an abortion, there was no question that she could indeed get one in Canada. How ignorant I was. The process would eventually have me brimming over with feelings of powerlessness and shame. Uglier still, it slapped me with a stark reminder of the barriers that women in many pockets of this country still face when seeking an abortion and just how invisible we are. Why, then, didn’t I want to be pregnant? I don’t believe anyone needs to justify this. But I am going to explain. I’m 36. Married to my high-school sweetheart. There is no salacious affair to report here, just an instance of sloppy planning, our first mistake of this kind in 20 years. We have two children whom I love down to the tips of their toes, to the moon and back, and by all the other appropriately gushing metrics. Pregnancy, though, does not seem to agree with me. I suffered postpartum depression after my first baby. With my second, it was pregnancy depression. It cut a long shadow, one that dogged me throughout the day, from the time I dragged myself out of bed until I collapsed on the couch at day’s end. I remember having to force myself to smile at my sunny toddler, who was then just two years old. My rational brain had to coax my emotional one to remember – constantly – that things were actually pretty good even though they all seemed blah. I hated living with that version of myself and I’m relieved my daughter won’t remember days such as the one when I sat stone-faced while she splashed on the beach, counting the hours until I could pass her off on my husband and retreat to bed. Thankfully, I took a lot of pictures on afternoons such as that. When I compare those photos with my memories, the difference is just how much good I can now see in the pictures. Back then, depression blocked me from participating in the best parts of parenting. I wasn’t ready to risk suffering either of those again – or the unpredictable impact on my young family – for a third child my husband and I weren’t sure about having. That might sound cold or even un-motherly. Abortions among women in their 30s and 40s are not something we talk much about. The image of those of us who are already mothers, with our Goldfish-cracker-strewn SUVs and dark under-eye circles, doesn’t align neatly with the stereotype of the misdirected girls many imagine to be the majority seeking out abortions. But statistically, we mothers are an increasingly common bunch. “A lot of the people we speak to are already parents,” said Frédérique Chabot, of Action Canada for Sexual Health and Rights, a national reproductive-rights advocacy group that provides information on access to health services. “A significant number are married and are in long-term relationships and have used contraception. And [abortion] is a definitely a tool of family planning,” she said. It was not a part of my life plan, which took an unexpected turn in a hotel bathroom on a Friday night last winter. I needed to catch a flight home to Halifax after a week of working in Toronto but paused my packing while, hands shaking, I peed on a cheap, drugstore pregnancy test I bought after leaving the office. I knew what it was going to say. The symptoms of pregnancy come over me like a thick, velvet cloak, one that feels so heavy I can hardly muster the energy to smile while bearing it. Instead of a pregnancy glow, it is as if I’ve been installed with a dimmer: The colours of the world fall out of HD and I can’t seem to laugh at anything. The fog in my brain thickens by the hour each day blunting my clarity of thought, my impulse control, my rationality. I’m surly and short-tempered. Given the choice, I would sleep for days, maybe forever. From inside of all this, I can hardly recognize myself, let alone function. Simple tasks such as washing my face or getting kids breakfast feel akin to running a half-marathon on no training. My transformation into a powerless victim of my own hormones is well under way before I’ve gained so much of an ounce of baby weight. By the third go-round, I recognized what was happening. And it was terrifying. What was more fearsome, though, was the prospect of having no way around it. Before the test turned positive, I was Googling how to get an abortion, something I had never done before. In Toronto, where Google correctly located me, I was presented with a long list of clinics that provide same-day abortions, including on Saturdays. A woman in Toronto can choose between a surgical procedure (administered with local anesthetic, some painkillers and anti-anxiety drugs) or a medical abortion, which amounts to two pills she can take to trigger a planned miscarriage, usually at home. Both abortions require bloodwork and a preprocedure ultrasound to date the pregnancy and ensure it is not ectopic, which can be life-threatening. All of this can technically be done in one visit to the clinic and is covered by the provincial health plan; those from out of province or country can pay out of pocket. By the time I was reading this, I was at the airport. I know now that I could have saved myself a lot of mental strife if I had stayed in Toronto. But then, I could hardly think straight and wanted to curl up in my own bed. In Nova Scotia the next morning, my research turned up some stomach-clenching facts: The only abortion clinics in the province are hospital-based. Some doctors were providing the abortion pill in-office, but a whisper network of women and advocates reported that not only were those doctors hard to find, but that no one here is granted an abortion before eight weeks of pregnancy (the provincial health website says abortion can be provided between six and 12 weeks). Why was this? No one had an answer. I happen to be one of the 50,000 or so Nova Scotians without a family doctor, which makes accessing what is known as the “entry point” for health care difficult. With panic, shame and anger eddying inside me, I paid $75 plus tax for a web consult with an online doctor service that claims to provide health care in Nova Scotia, as I could not bear to go to a walk-in clinic. Values here can be conservative; I feared being dressed down for asking for an abortion or, worse, being told I could not have one. I hoped the web doctor would give me a prescription for the abortion pill or a referral to someone who would. Instead, the doctor recommended I either go back to Toronto and pay for an abortion or call the Nova Scotia abortion help hotline on Monday morning. He used a kind voice to tell me he was very sorry, but if I stayed in the province, I’d likely have to remain pregnant for several more weeks. My ears began ringing. My head grew light. Flying to Ontario – and paying for – a service that was technically available in Nova Scotia seemed problematic for all the reasons that it is: Days off work. Child care. Cost. While I could afford it, buying access to health care did not seem right or fair. I was the first caller through to Nova Scotia’s hotline on Monday morning. The news was bad: There had been so much demand for abortions in Halifax the week before – when the hotline first opened – that the doctors who provide the abortion pill had asked that their numbers not be given out for a week. I snorted. We are the biggest city east of Montreal. We have an Ikea. And four universities. How was this happening? 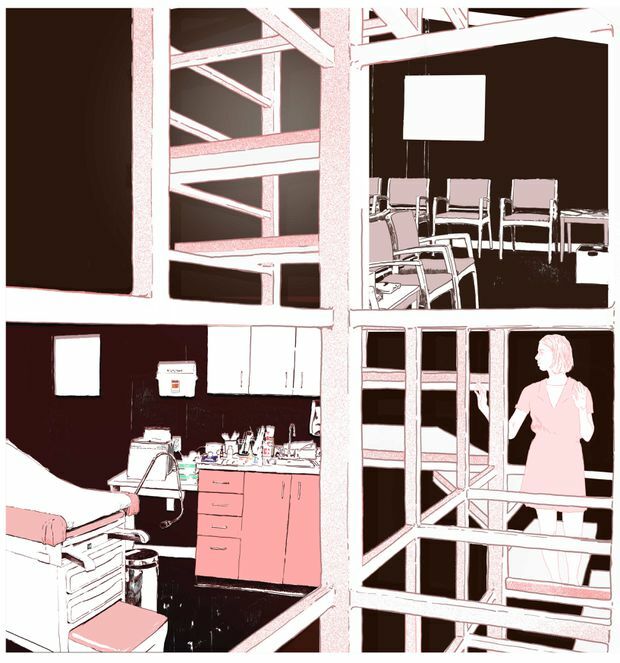 I asked about a surgical abortion, which I knew only the hospital clinic provided. I could call the hospital, the woman on the other end of the line said, but my chances were slim. The hospital doesn’t do abortions before eight weeks unless there is an emergency. I gaped at the question. Was it? What was the bar for an “emergency” anyway? I was physically fine. My mental health would take a deep dive, though, if I were forced to remain pregnant for much longer. Clawing my way out of the unpredictable depth of that black hole might take months of work. This, I knew with ironclad certainty. But I was not going to say that out loud – on the phone, to a stranger. I would go on to say these words several more times that week when I began cold-calling doctors' offices after one abortion advocate told me that my fastest way to a “medical abortion” – pills I could safely take at home – was to find a doctor who would prescribe it myself. I am accustomed to calling up professionals as part of my job. But calling around to hunt down whether anyone might be willing to give me an abortion was a humiliating, unwieldy task. I did wonder how a woman in more precarious circumstances than mine – someone, say, living rurally, with a low income, maybe in an abusive situation – would manage. What of the teen from isolated Cape Breton who still lives at home and has to figure out how to navigate this ridiculous maze without tipping her family off to her pregnancy? And how can this be the reality in any part of Canada in 2018? My heart swelled when I finally locked in an appointment with a doctor an hour away. She agreed to prescribe me the abortion pill at the end of the week. I just had to have an ultrasound at the local hospital first. For two days, I thought I could see light at the end of what had become an unexpectedly twisty tunnel. But it went dark when the doctor’s office called to tell me they would have to bump my appointment back a week or two until I was more pregnant – my pregnancy might be a bit too early to show on the ultrasound. I know now that doctors in some parts of Canada will perform early abortions based on blood-test results. But some, including mine, would not. And she did not want to waste a spot in the hospital’s overburdened ultrasound queue when my results might be more certain a few weeks on. Unlike in Ontario, ultrasounds in Nova Scotia and New Brunswick are done only in hospital radiology departments. Wait times that would be a matter of days in Ontario can stretch to weeks and months in the East. Abortion doctors understandably guard their relationships with hospital radiologists, given that they must rely on their colleagues’ goodwill when a pregnant patient needs to be slotted in. It made sense, then, that they didn’t want to take a gamble on a patient whose pregnancy might not yet have showed up. I understood the rationale, but wouldn’t agree that it adds up to compassionate care. With no other option, I agreed to the appointment two weeks out, promising myself it would be my backup and I would find a way to get an abortion sooner. The next number on my list was answered by the gravelly voiced receptionist in Dartmouth. Her doctor would take me, she said, so I should just calm down. I wasn’t dying. Just pregnant. I’d still have to get an ultrasound before the procedure. The receptionist had a friend in radiology, though, and could probably speed my wait along. This perked me up. I asked how long it might take. “About two weeks,” she said. I could hear her pride in offering this shortcut. I felt gratitude and dismay in equal parts. Waiting two weeks would put me at nearly eight weeks pregnant. I put my head down on my desk. I’ve worked in a war zone and in a developing country. I’ve given birth twice. Those were all hard situations that required more than a bit of white-knuckling. But at that moment, all of it seemed easier than living within a system that was forcing me into submission, to remain pregnant longer than I wanted to be. Glass-half-full folks will argue that I only had to hang on a few more weeks – I was not so hard-done-by. That’s true when compared with places that do not allow abortion, yes. But is that the measure we want to use in Canada? Unfortunately, there seems to be lots of comfort with it here in the East. Instead of lamenting that most women with unwanted pregnancies have to wait a minimum of eight weeks to terminate, or cold-call abortion providers to find one who will help them, many advocates and doctors working to improve access prefer to focus on how far the region has come in the battle to provide abortions at all. Don’t get me wrong, any markers of progress deserve their due. PEI just ended a 30-year moratorium on abortions, thanks partly to N.S. abortion providers, including Dr. McQuarrie. New Brunswickers can now get an abortion at a clinic in Fredericton, the province’s capital city. And earlier this year, a grassroots women’s group in Halifax led a crowdfunded campaign to buy an ultrasound machine for the in-hospital abortion clinic that provides 85 per cent of the abortions in the province. Is it really, though? I don’t disrespect Dr. Yoshida or her victories, which have been hard-won. But I’m not sure we should accept the status quo simply because it appears to be a bit better than it was before. 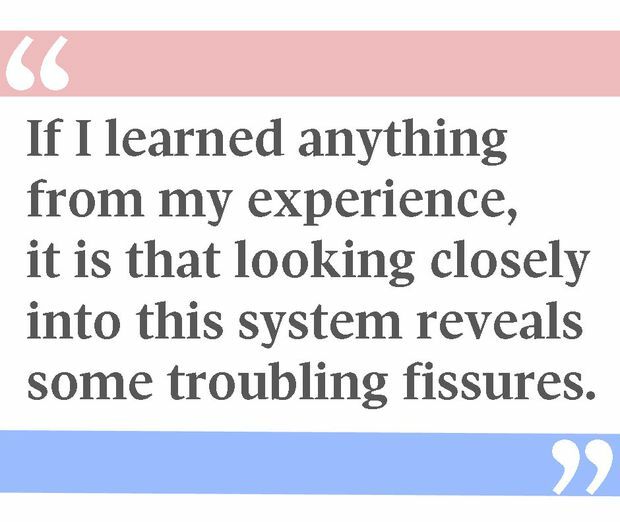 If I learned anything from my experience, it is that looking closely into this system reveals some troubling fissures. “One of the biggest barriers here is that people think this battle is already fought,” Dr. McQuarrie told me. She said it isn’t until people need an abortion themselves that people begin to understand how many obstructions still exist, and how insidious they can seem. “It comes down to a lot of nitty-gritty details people don’t like to talk about in health care in Canada,” Adrian Edgar said. He runs Clinic 554 in Fredericton, formerly the Morgentaler Clinic. While he does provide abortions, the cost to patients is $700. That is because the health-care system in New Brunswick only pays doctors to perform abortions in hospitals (it allows them to offer the service in community clinics, but will not provide coverage). The only hospitals that offer abortions in New Brunswick are in Bathurst or Moncton, forcing most women to travel. “Who can make sense of policies like this? They are not put in place to improve access to health care for patients. Hospitals have the longest wait times of any facilities in the province. So I don’t know what the motivation is. Financially, it doesn’t even make sense,” Dr. Edgar said, adding: “I think if people removed their personal beliefs around abortion and just looked at how much it’s costing our health-care system to do this in hospitals, they couldn’t continue to let this happen.” And yet. To get an abortion when I wanted it, I flew to Toronto. I put the procedure, which cost $400, on my credit card, along with the cost of my blood tests, painkillers, flights and the hotel room that I barely slept in for worry that the clinic with would find some way to deny me the service. I was fortunate to be in a position to afford the whole expensive ordeal and I refuse to be ashamed of what I did. I am crestfallen, though, at the thought of how many more Canadian women stand to be bruised by the same barriers that I hit.